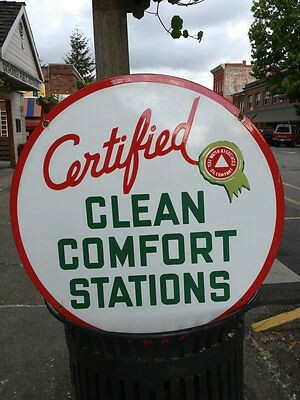 At only 30″ across, this sign is for Certified Clean Comfort Stations. The sign is white and red. It has a small seal of approval that is lime green on the right side.